Ajay, Ajith, and Abhishek ready to rock this Expo! 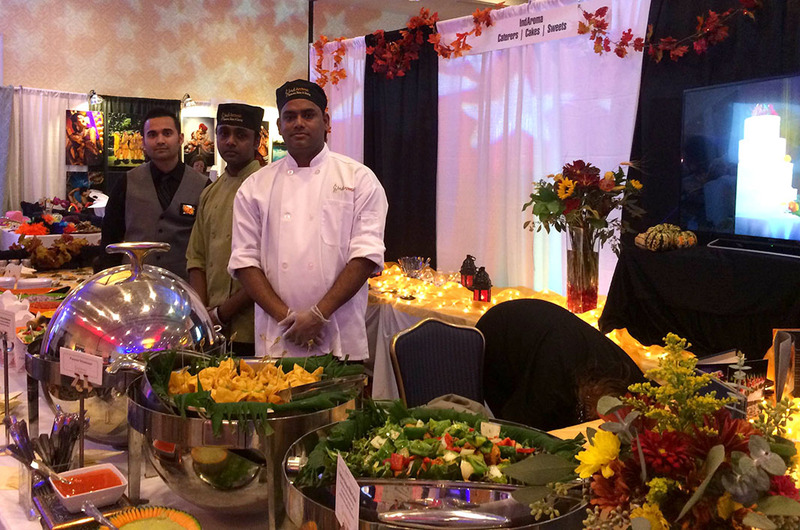 What a great time we had at the 2014 Fall Dream Shaadi Expo! 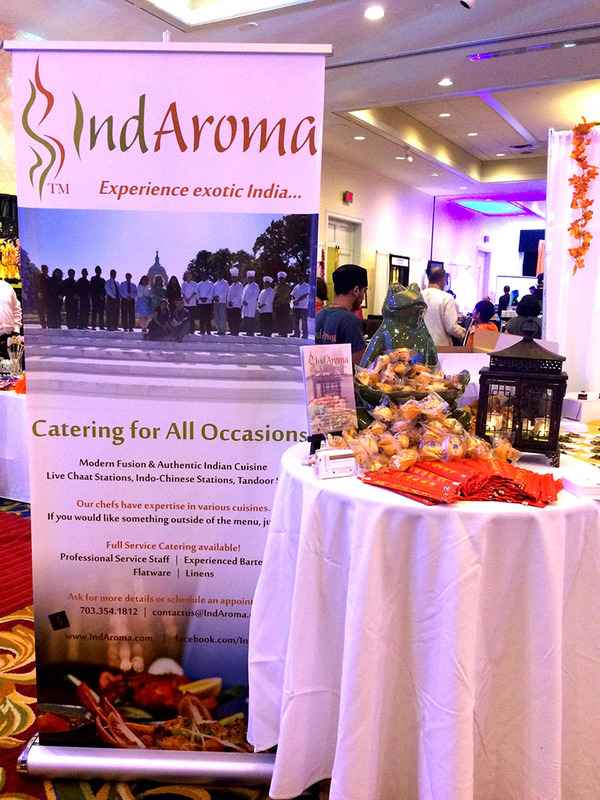 So many beautiful South Asian booths displaying all the colors and sparkle one could ask for when planning an Indian or South Asian wedding! 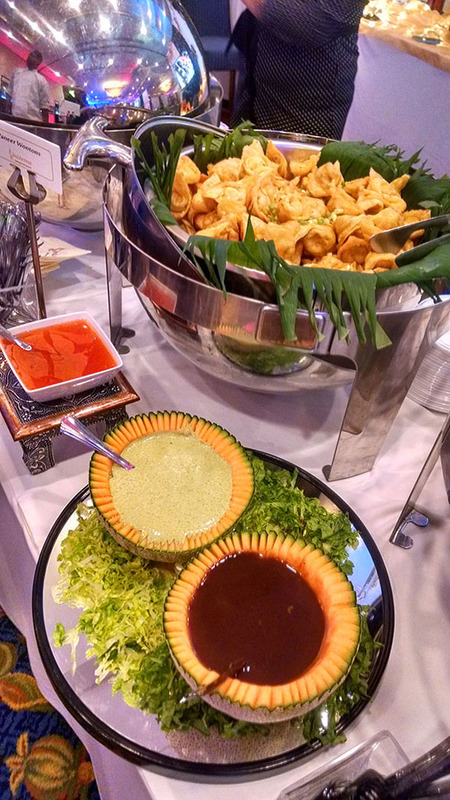 IndAroma’s was a hoppin’ booth, with hundreds of guests sampling our delicious Aam Palak Chaat, Paneer Wontons, and an Indo-Chinese favorite at our wedding caterings: Gobhi Manchurian, cooked up live, hot, and fresh! 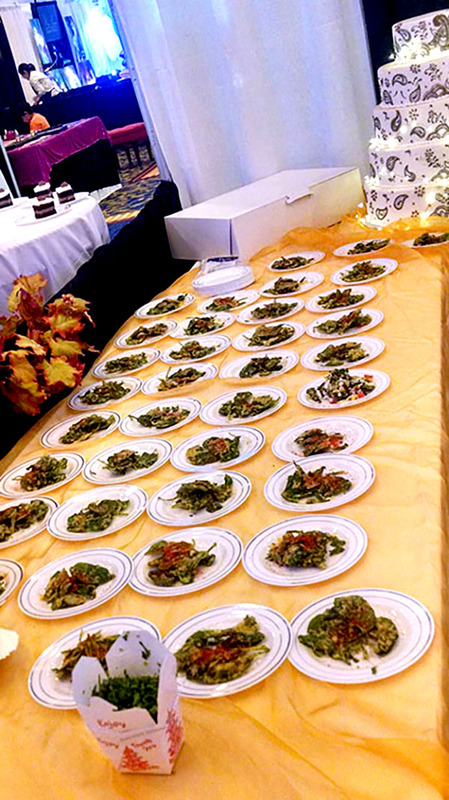 Doesn’t this food look delicious?? 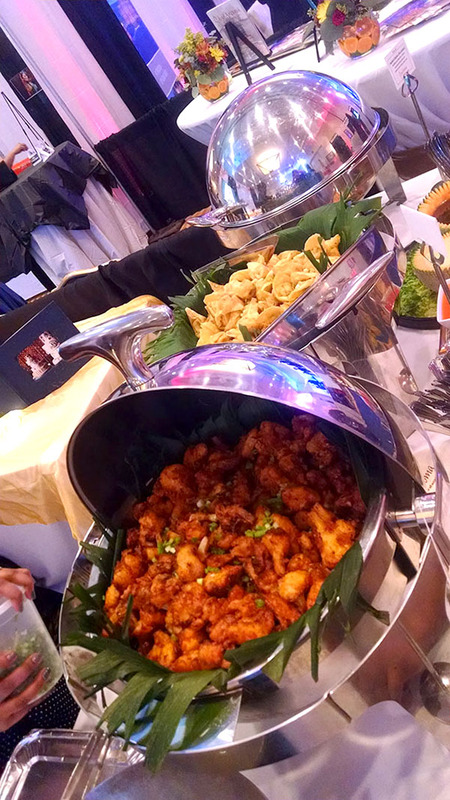 IndAroma is a premiere Indian and South Asian wedding caterer, with an extensive menu and so many serving options to choose from, such as live stations (like Indo-Chinese, dosas, chaats, etc), family style, you name it! 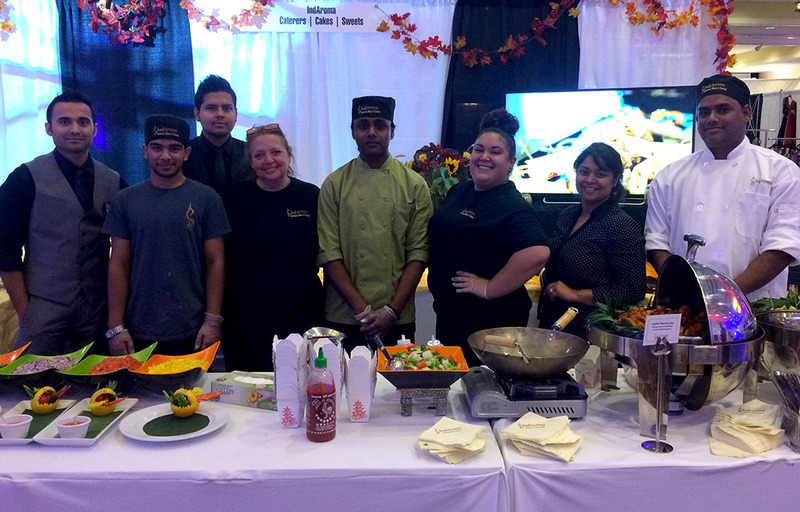 We are always excited to participate in South Asian Bridal Expos; it gives us a chance to meet couples who are planning their dream weddings, and to give them a taste of exotic India! We hope to see you at our next bridal show! We will post upcoming shows as they approach, so check back often! You do NOT want to miss it! This entry was posted by M Fitzgerald in blog, Events and tagged chaat, Contemporary Indian food, Dream Shaadi, fusion, Henna Style Wedding Cakes, Indian, Indian Bridal Show, Indian Catering, Indian Fusion, Indian Fusion Wedding, Indian Wedding Cakes, Modern Indian, Shaadi, South Asian Bridal Show, Westfields Marriott.